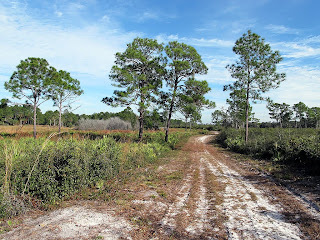 The Salt Lake Wildlife Management Area (WMA) encompasses more than 7,800 acres in Brevard County. It borders three lakes—South Lake, Salt Lake, and Loughman Lake. 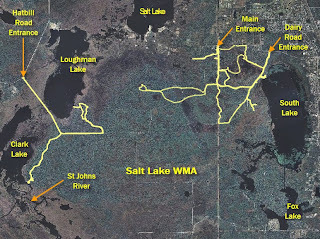 A former cattle ranch, Salt Lake WMA is now managed by the FWC. 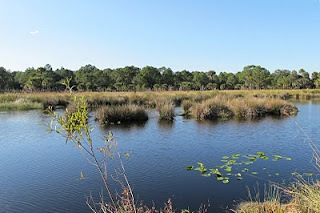 I have hiked it a number of times, spotting a variety of wildlife. 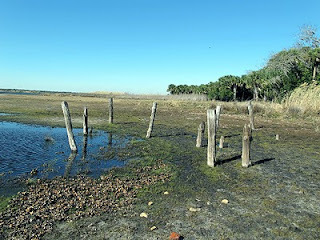 Being a former cattle ranch, an inquisitive observer may encounter remnants from the old cattle days in Florida. 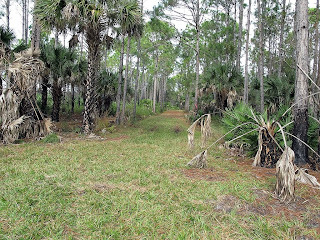 This is a WMA area, frequented by hunting enthusiasts throughout the year. 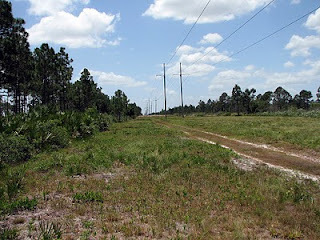 Fair portions of the trails are actually roads that crisscross the area. 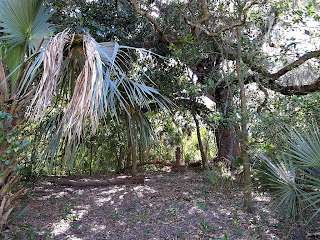 You will encounter a variety of ecosystem as you venture around, from wide-open scrub to dense oak hammocks. Down by the river there are pilings from an old dock, quite possibly used to ship out fruit that was grown in the nearby grove. A few orange trees are still flourishing in the area. There also is a documented Indian mound near the river. Hatbill Road entrance: N28 37.853 W80 56.851 This spot off Hatbill Road will take you out to the observation tower/creek crossover. Be aware that you will have to cross another creek that can be quite wide (never very deep). I have found at times I could just jump it, while at other times it was up to my knees and I had to wade it (I did use large/heavy duty trash bags to keep me somewhat dry). As I mentioned, I have hiked and done some GEOCaching and Terracaching there. I have by no means seen anywhere near the complete area. I would suggest that maybe if you wanted to get deep into the bowels of Salt Lake WMA that you consider a bike. 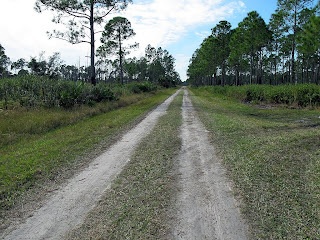 At certain times of the year, normally just before a hunt opens up, they let you drive the area; that could be interesting – of course this is just for off road vehicles. This is a WMA and hunters maybe present, so pay attention to the hunting seasons and I suggest always wearing bright colors. 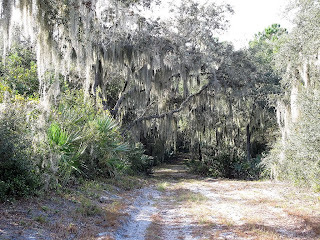 From what I have explored, my favorite sections are the areas over by the St Johns River and the South Lake area. This does not mean I don’t like them all, but due to the area's vastness you really have to select a section and enter at the closest point to allow exploration time..
A large percentage of Salt Lake is open to the sun; so warm weather hiking can be pretty difficult. 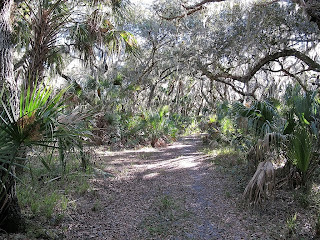 Most all the trails are roads and some of those are “sugar” sand. At different times of the year you might run into water in the lower sections. As always, please leave nothing but footprints and take nothing but photos. Please consider carrying a small plastic bag to use to pickup any trash that might have been dropped by someone else.